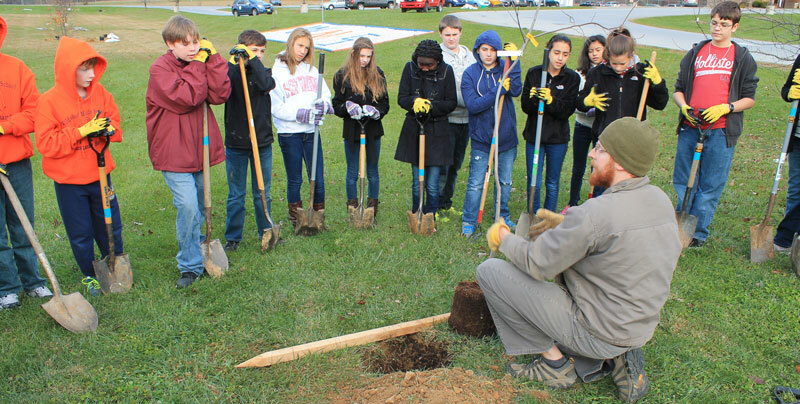 On November 19th, 2013 over 50 students from general and special education classes at Wildwood Middle School worked on this tree planting. 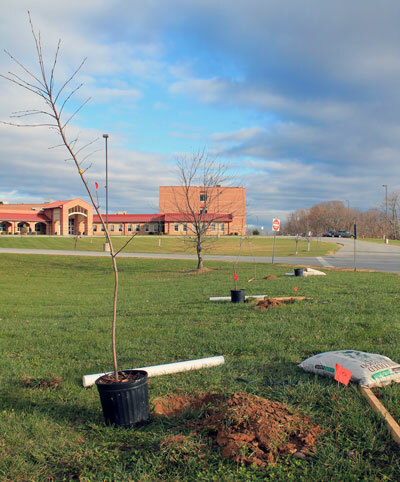 24 trees and shrubs – a mix of serviceberry, elderberry, hazelnut, and spicebush – were planted by students and teachers. 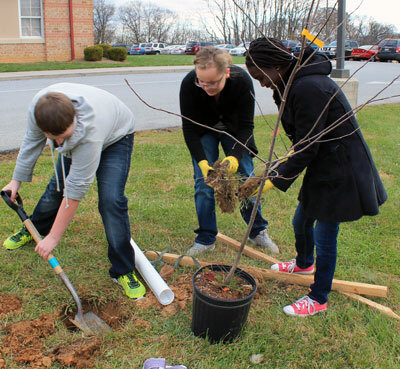 This was the third WV Project CommuniTree project organized by science teacher Carolyn Thomas. 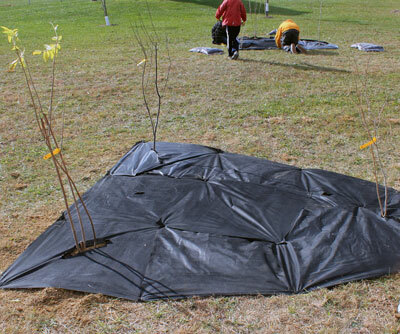 Groups of 3 shrubs were put together to make 5 triangle-shaped beds. 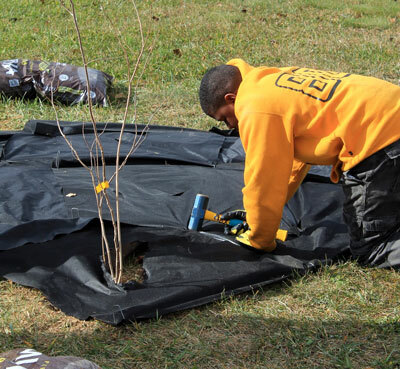 Landscape fabric was staked down and mulched to prevent weed growth between the shrubs. Once mature, science classes will be able to use this area for wildlife viewing. 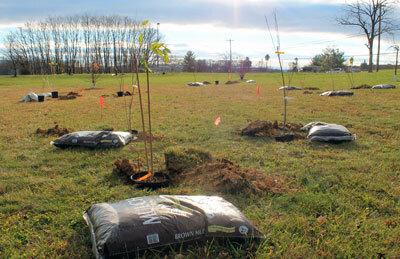 The trees and shrubs will also reduce stormwater runoff pollution and beautify the campus.